TMIC Christmas Party, Kris Kringle and Bowling Tournament | The Market Intelligence Co. This year, the TMIC Christmas Party was a much busier event than in previous years as all festivities were combined into one fun filled afternoon! 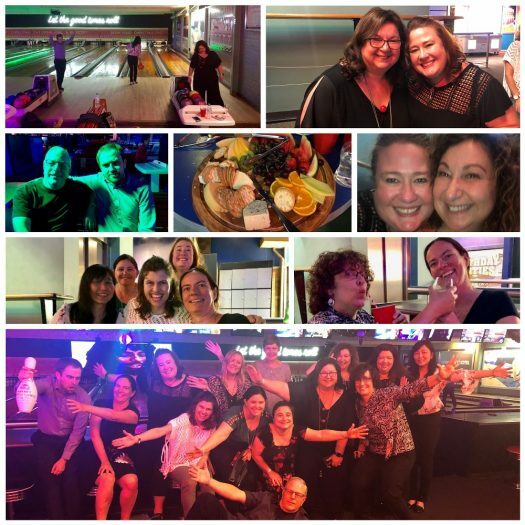 We began with our Kris Kringle present swapping party then moved on to our annual bowling tournament before heading off to dinner at the gorgeous Stanton & Co. restaurant. 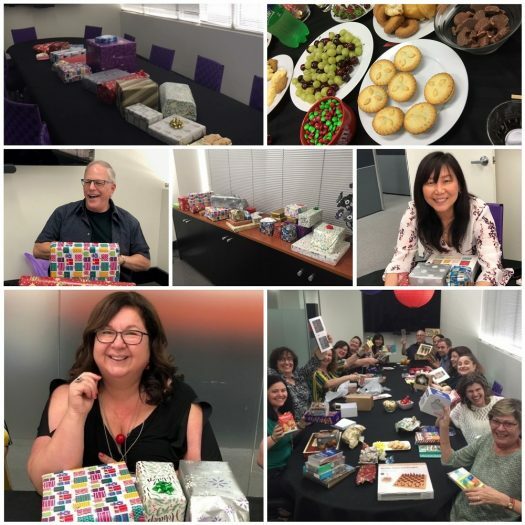 We kicked off celebrations by playing Secret Santa in the boardroom, with each of us rolling dice to choose a gift and guessing which person provided the present. We then had the opportunity to swap gifts with anyone else in the room. A lot of fun was had by all! After Kris Kringle, we made our way to Manhattan Bowling for a bit of competitive fun. Each team consisted of four members. Keeping with the Christmas theme, the three teams were called Grinch, Bad Santa and Scrooge. This year, Arne was not only the individual winner but his team, Scrooge (Arne, Wes, Maria R and Erika) pulled out all the stops to win first place in the tournament. Well done guys! We then moved onto dinner in Rosebery at the beautiful Stanton & Co. 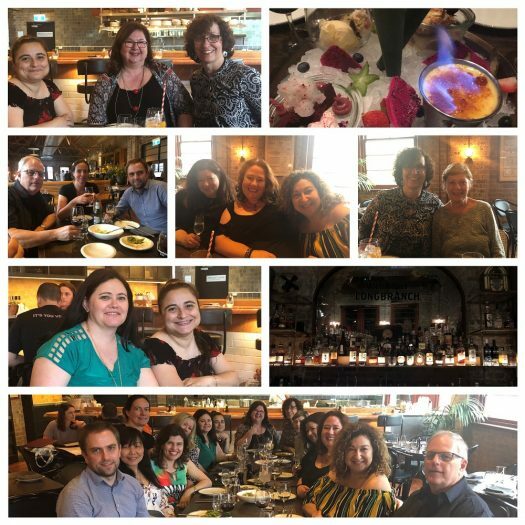 Yet again, we ate to our hearts’ content, enjoying a variety of delicious dishes and some great company. Thank you so much Angela for a fantastic afternoon. We hope you enjoy the photographs from the festivities!